It will be interesting to see Napoli play in their 'Camo Fight' away kit for the first time in Serie A this weekend against Chievo Verona. 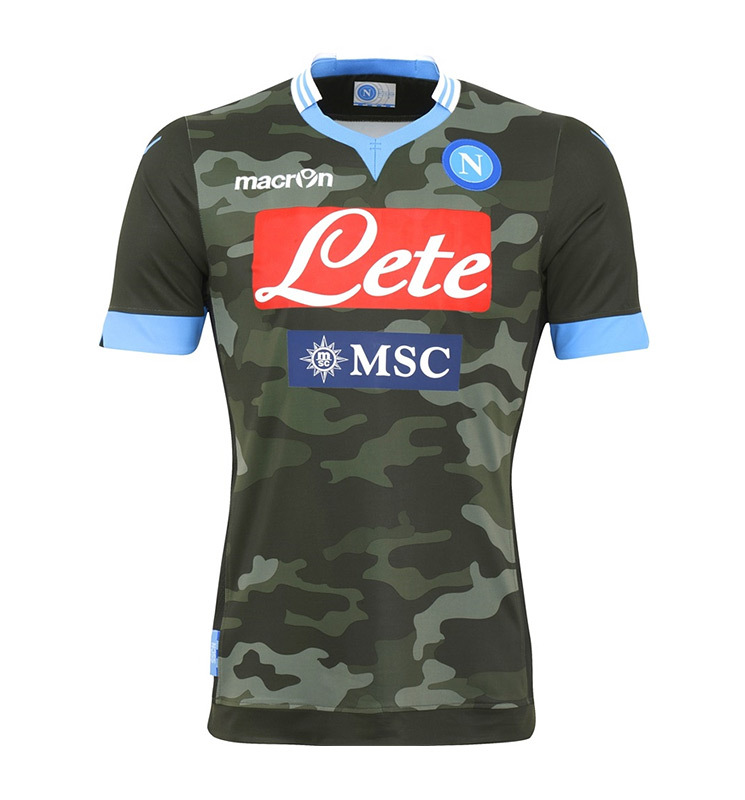 The road jersey models the camouflage worn by soldiers and it has a hint of the traditional Napoli light blue around the neck and the sleeves. Napoli president, film producer by trade, Aurelio de Laurentiis, bought the club in 2004 while Napoli was going through tough financial times. Under Aurelio de Laurentiis, the club has been steadily growing and is reaching new heights every year. This season promises to be a good one for the club from Naplies. Maybe the 'Camo Fight' suit will help Gonzalo Higuain and company take things to the next level in Serie A and in the UEFA Champions League.